Michael Jackson, a legend and hero for beer lovers across the globe, once famously said his true love was not beer, rather Whisky. (and yes, without the “e”) This should not be too much of a surprise. He has authored a number of books on the spirit. I too must admit I love the water of life, though I’m not sure I would place it above beer. Regardless of the rank, I strongly believe beer and Whisky go hand in hand. Whisky is basically distilled beer, right? I started drinking Single Malts about 10 years ago as a way to lighten my load while backpacking high up in the Colorado mountains and still have something enjoyable to consume around the campfire. (Laphroaig 10 goes nice with a fire by the way.) The more I read and learned about Whisky the more interested I became. without having to spend a fortune in the process. Since that day in 2005, I started a tradition with my friends and we have taken turns hosting Red Meat & Scotch events twice per year. Each party comes complete with distillery maps of Scotland, flags, tasting notes (Jackson and others), Whisky poetry, Single Malt coffee table books, and pictures of Highland Cows. They are always enjoyable, and always require a designated driver – usually a very forgiving spouse. And after we all thought Robert was done, he surprised us all by pulling out his private stash of Bushmills. That’s right, Irish Whiskey to follow up all of the Scotch. I thought there might be a bit of a let down, but Robert did not disappoint. We started with the Bushmills Malt 10, then moved to the 16 Malt, 21 Malt and finished with the brilliant Bushmills 1608 (to honor the year the distillery was founded). The mash used to make the 1608 contains crystal malt, which is unique, and a dram does have a nice oaky sweetness to it. 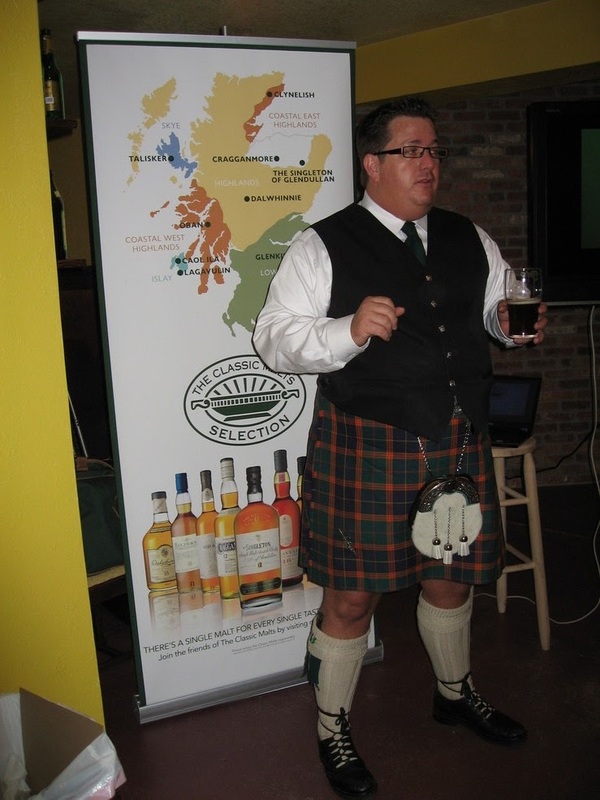 We all thoroughly enjoyed the Bushmills selections. Irish Whiskey is triple distilled as opposed to the double distillation that is the norm in Scotland, so it tends to be a bit cleaner and smoother, but the Bushmills’ malts are very complex nonetheless. My favorite of the first batch was the Singleton 12. Maybe because this malt was new to me. But I was pleasantly surprised by the complex nose with hints of fruit and nuts, medium body, and wonderful flavor of sweet fruit, brown sugar and a touch of coffee, topped off by a long elegant finish. 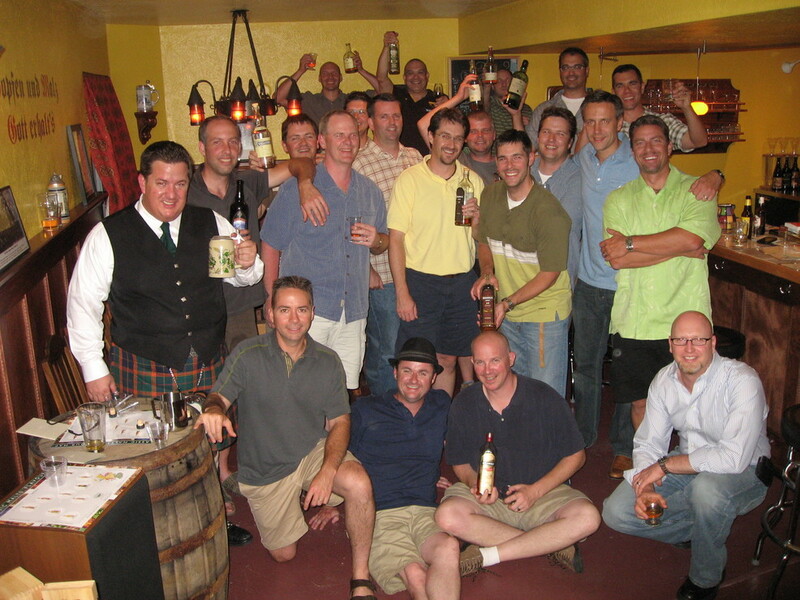 If you are a beer lover thinking about branching out, get some friends together for your own Red Meat & Scotch party. Don’t be afraid to allow Irish whiskey, American Whiskeys, and especially micro distilled Whiskies. Also, if you are interested in having a private tasting by a “Master of Whisky”, shoot me a note and I’ll provide you with Robert’s contact information. He will not disappoint.